Drive up the intensity in this women's training tank top. From the first set to the last rep, the innovative construction combines sweat-wicking technology with breathable fabric to maximize your full potential. The racer-back cut encourages dynamic movement. 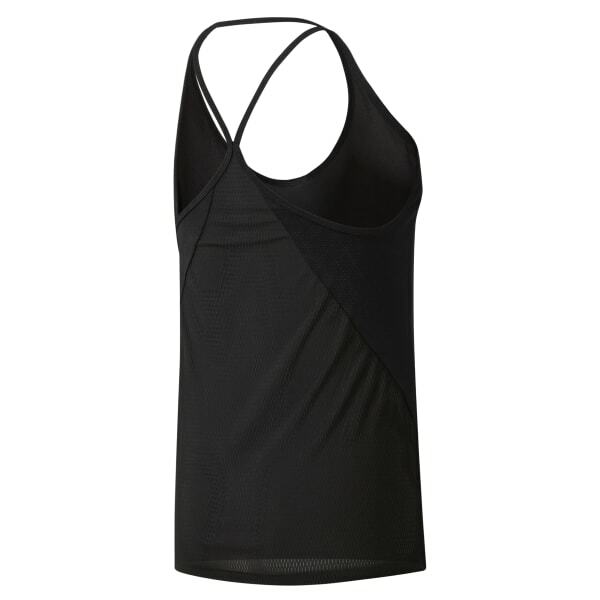 Designed with a slim fit, the sleek look has thin straps that flash a stylish peek at your sports bra.